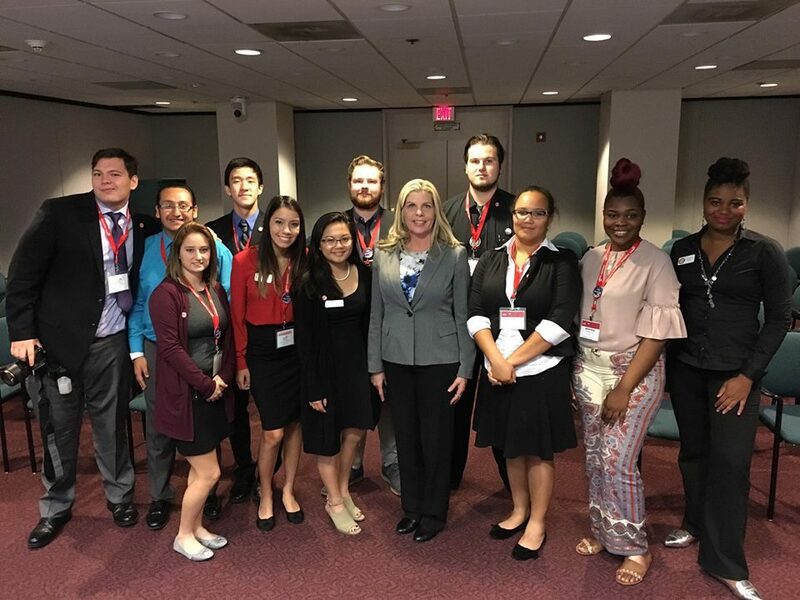 Students learned about politics, leadership, and the needs of Florida’s state colleges at the Florida College System Student Government Association’s (FCSSGA) Advocacy Conference & Rally in Tallahassee. 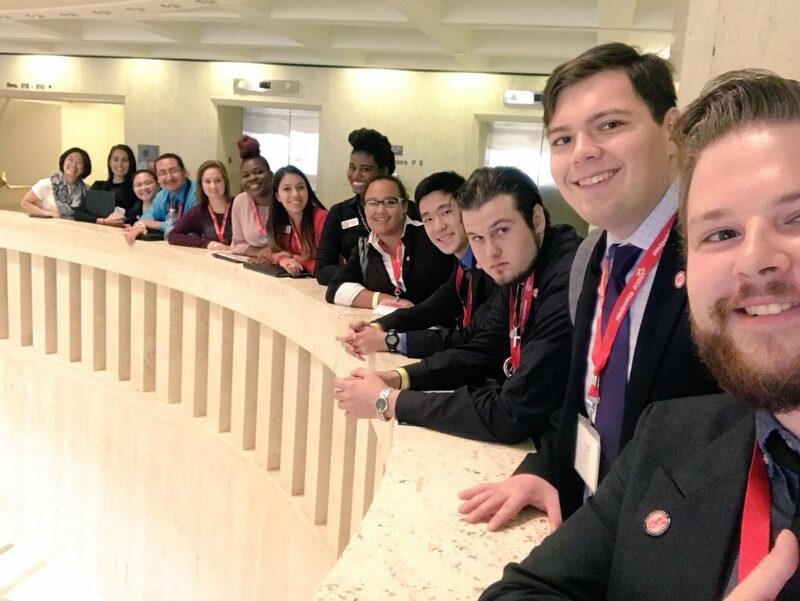 Ten members of Polk State’s Student Government Associations (SGA) from the Winter Haven and Lakeland Campuses and the Polk State JD Alexander Center traveled to the Florida Capitol to participate in the conference and meet with members of Polk County’s legislative delegation. 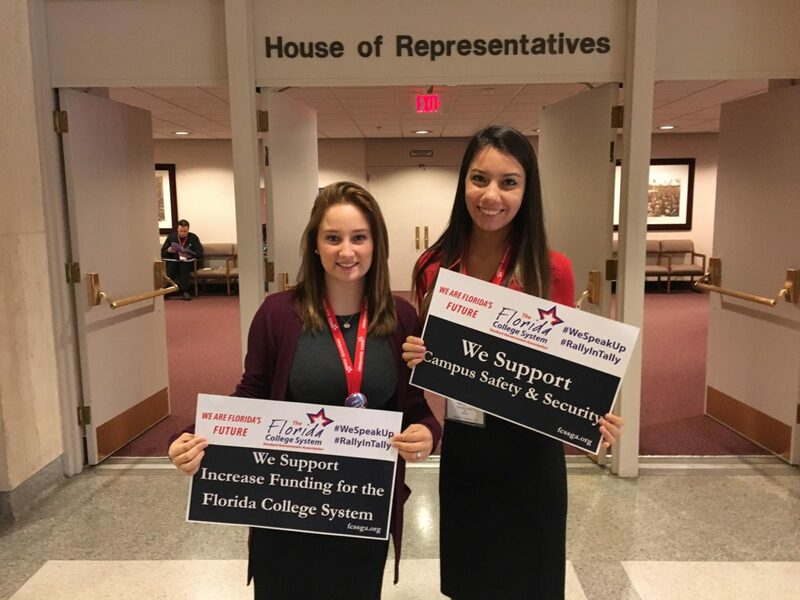 “We need to continue to have meaningful conversations with our legislators and advocate for our state colleges,” said Lakeland SGA President Felicity Ruiz. The Capitol was “interesting” and “different” from the “small town” the students are used to, Ruiz said. 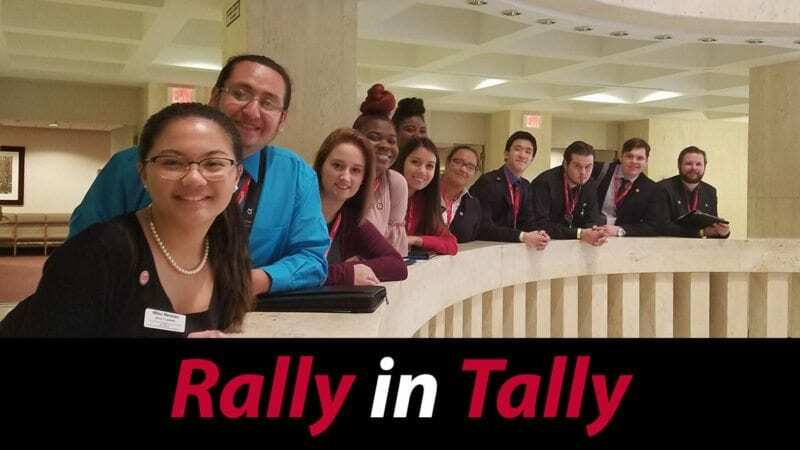 They posed for selfies in front of the Capitol building, enjoyed lunch with a 22nd-floor view of Tallahassee, and managed to not get lost in the hustle and bustle of Committee Week. 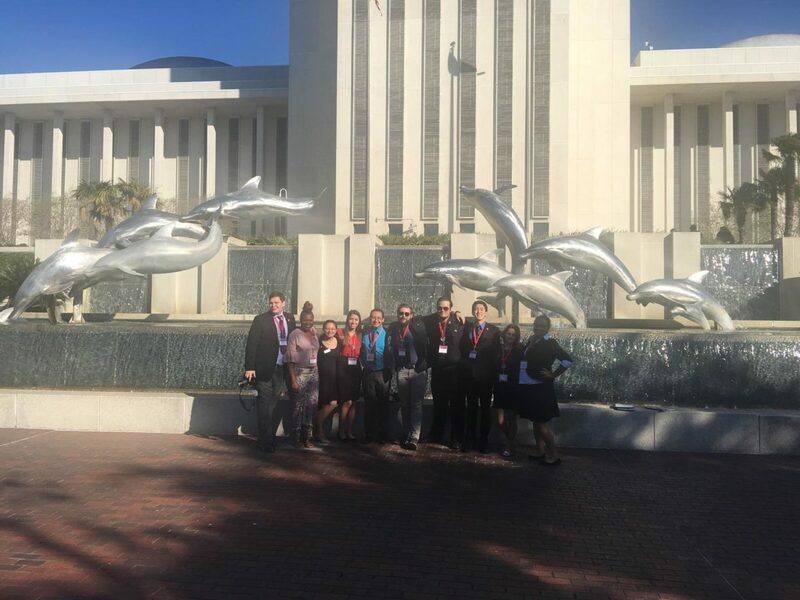 Students from Florida’s 28 state colleges flocked to Tallahassee for the FCSSGA Conference, where they networked with one another and learned about the Florida College System’s legislative priorities. 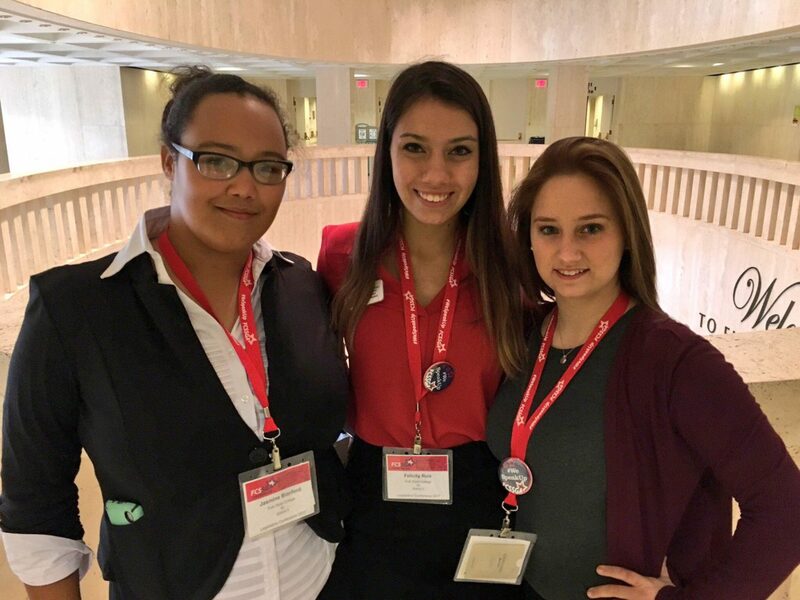 The FCSSGA promotes legislative advocacy, leadership development, and strong citizenship. 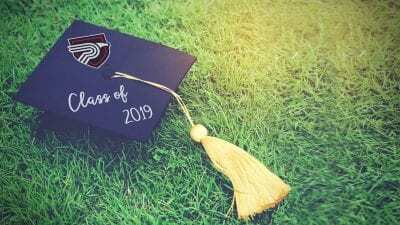 Winter Haven SGA Secretary Kieran Sequin, who is working on an Associate in Arts and plans to study Criminology to work in federal law enforcement one day, said the experience bolstered how much he cares about what goes on at Polk State. 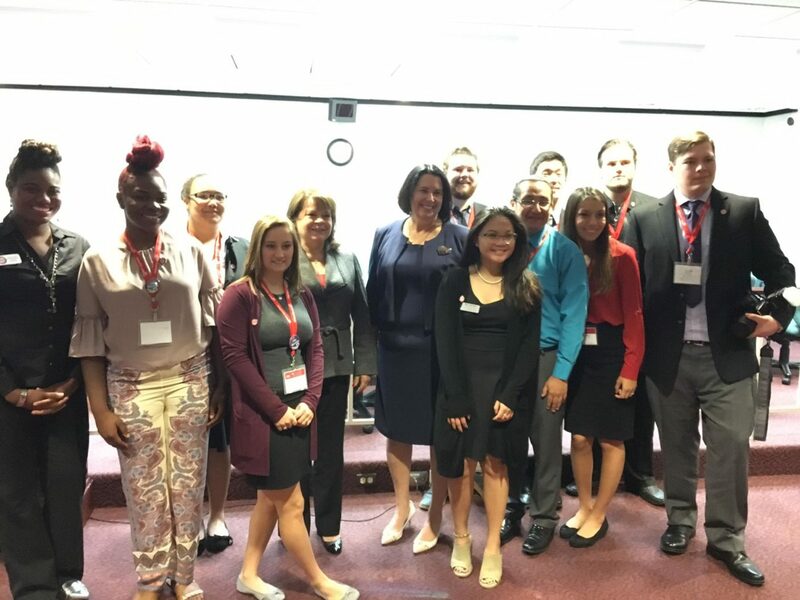 The students had the opportunity to meet with Senator Kelli Stargel, Representative Colleen Burton, Representative Ben Albritton, and Senator Denise Grimsley’s Chief Legislative Assistant Anne Bell. 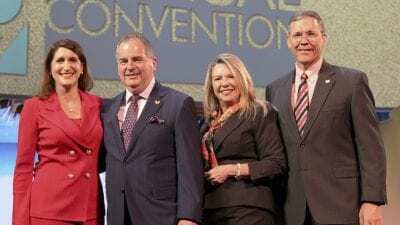 Before the students left for Tallahassee, Polk State President Angela Garcia Falconetti familiarized them with the College’s legislative priorities, which they shared with the delegation members in addition to their personal stories. 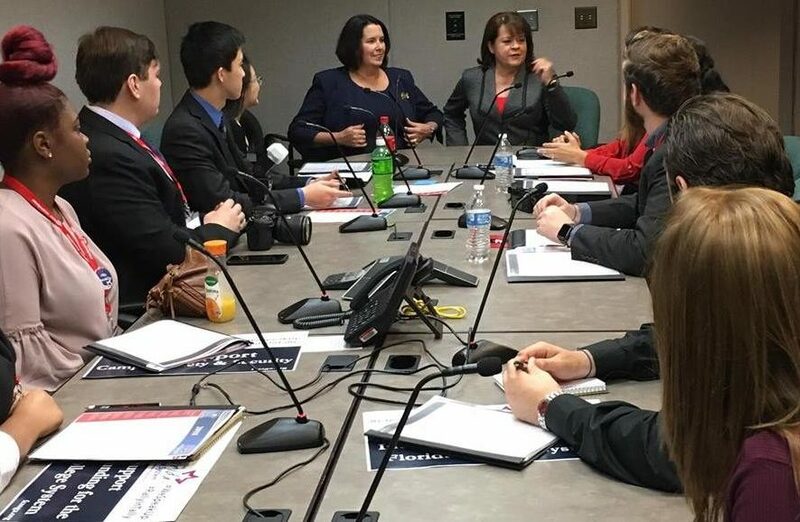 Students were particularly intrigued by their meeting with Senator Denise Grimsley’s Chief Legislative Assistant, who shared with them the many issues that senators’ offices deal with on a daily basis – from healthcare to child services to education. In addition, Bell shared with them the career and educational opportunities offered to those who work as legislative aides. The students were particularly excited about tuition assistance and the opportunity to be a part of the legislative process. 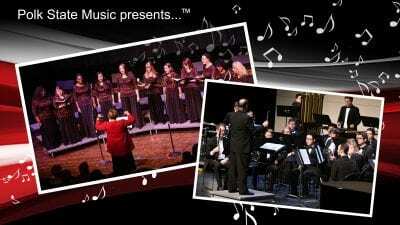 “It’s amazing – how involved the job is,” said Austin Skillings, who started on an Associate in Arts this semester. He plans to transfer to the University of South Florida to receive a bachelor’s degree in Cyber Security. The students got an even more in-depth look at the job of a lawmaker in a House of Representatives mock session, where they learned the process of passing a bill. The FCSSGA randomly selected Polk State to participate in the session, which was limited to just a handful of state colleges. Students also had the opportunity to participate in a wide variety of educational sessions at the FCSSGA Conference on topics ranging from leadership, ethics, civic health, and public speaking. 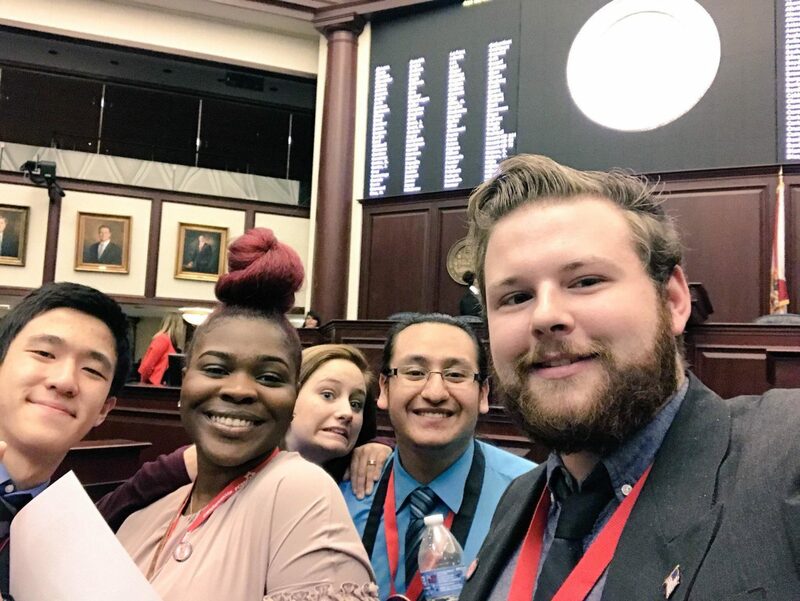 “This experience showed me the benefit of the Florida College System and colleges like Polk State,” said Polk State Lakeland Collegiate High School student Harrison Chen. Winter Haven SGA Vice President Mikka Mendoza, who graduated from Polk State Chain of Lakes Collegiate High School with her Associate in Arts and is pursuing a Bachelor of Applied Science in Supervision and Management with a concentration in Business Administration, made a presentation during the conference’s opening session about the FCSSGA legislative platform. 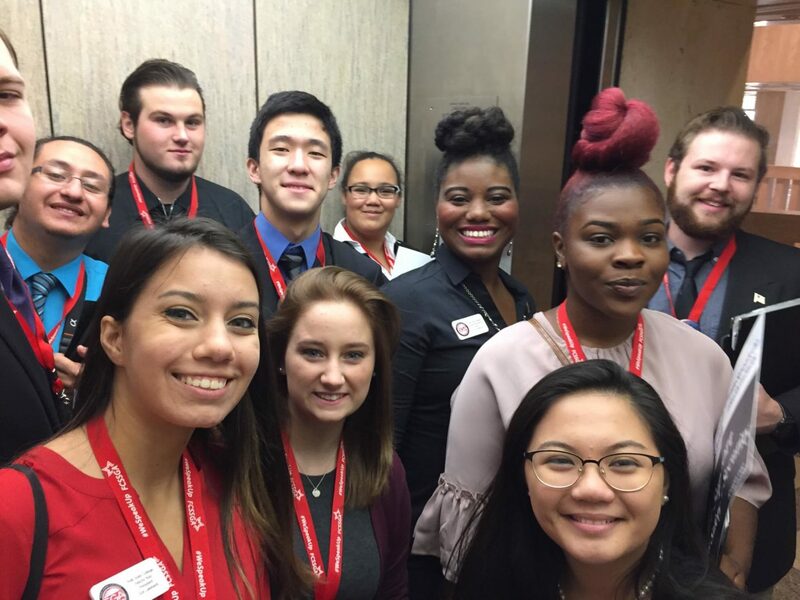 In addition to Mendoza, Sequin, Ruiz, and Skillings, students Harrison Chen, Halie Turpin, Aliah Patten, Robert Keratt, Gonzalo Gutierrez, and Jasmine Blandford attended the conference with Coordinator of Student Activities and Leadership Amanda Paige-Morris.